NOBULL SuperFabric® Trainer Review: Worth the Money? 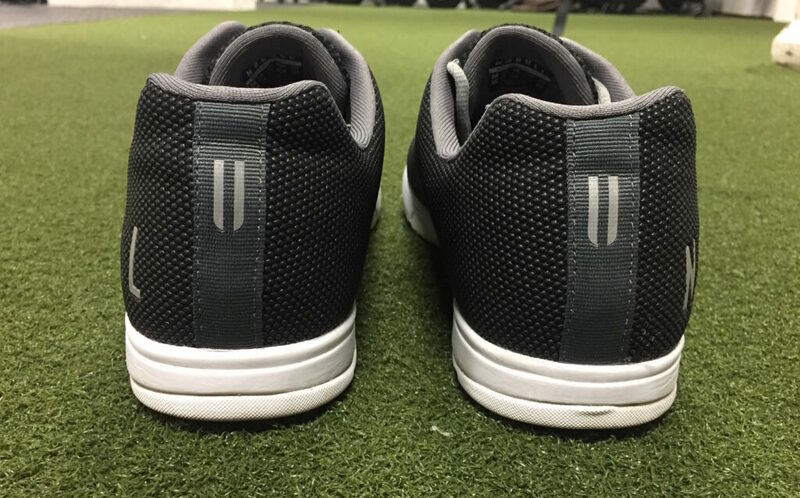 Home » NOBULL SuperFabric® Trainer Review: The Simple, Functional Shoe? 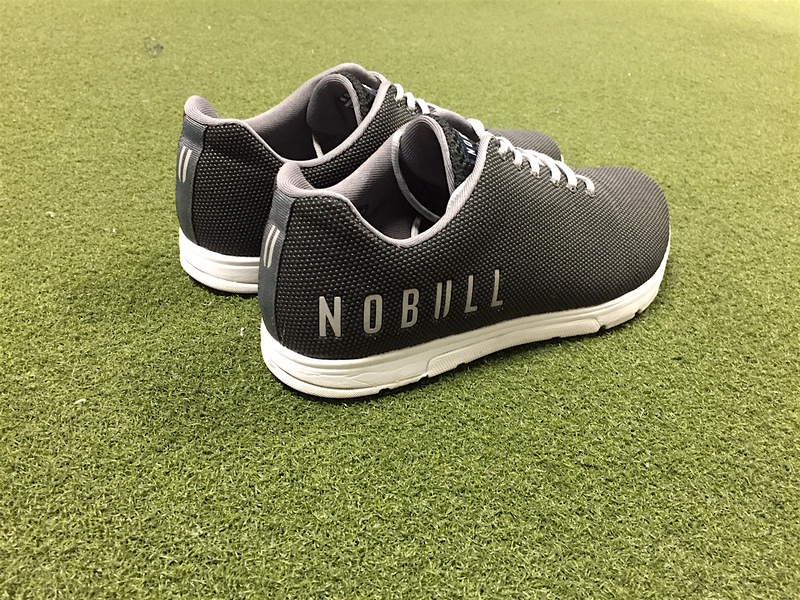 NOBULL SuperFabric® Trainer Review: The Simple, Functional Shoe? You’ve probably seen them in your local CrossFit box by now; first there was a trickle, then there was a flood. NOBULL’s trainers are popping up more and more, and while the company has a long way to go before gobbling up Reebok and Nike’s fitness market share, they’re definitely getting noticed — and bought. Capitalist consumer that I am, I jumped on board and decided to give NOBULL’s SuperFabric® trainers a try. I paid full price, just like the normal schmucks, though I rationalized my impulse buy into research since I’d be reviewing the shoes for the masses. Which makes it okay, I guess. The NOBULL Trainer does an exceptional job at providing the foot with a wide base to fully splay toes on in multiple types of lifts. CrossFit and competitive fitness uber-fans have probably seen a lot of NOBULL on their social media feeds the last few months. 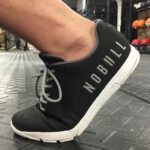 As we mentioned in a review of NOBULL’s canvas-construction high-top, NOBULL is the cool, upstart footwear and apparel company that combines flashy designs with a roster of athletes — Brooke Wells, Brooke Ence, Jared Stevens, and Sam Dancer — who look as good in promo shots as they perform in the gym. The canvas shoe is interesting, but the SuperFabric® trainers are NOBULL’s real bread and butter. 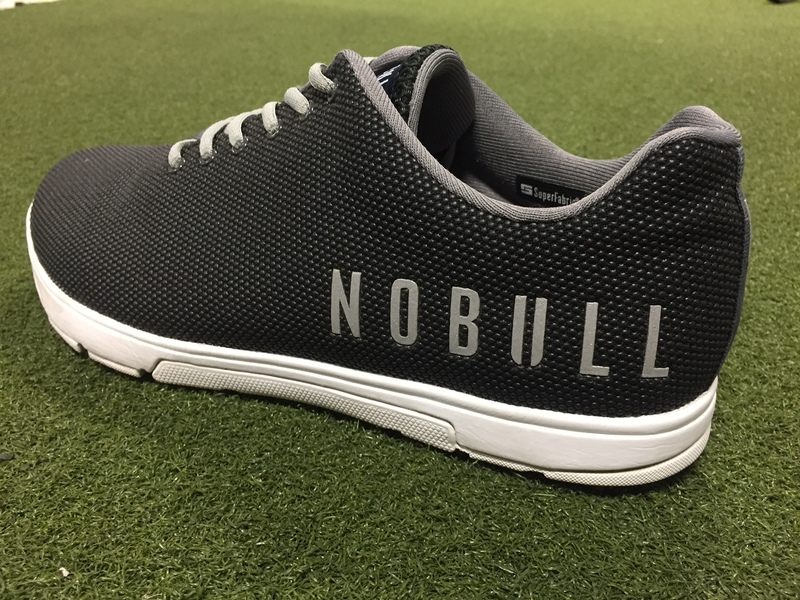 Most importantly, NOBULL is positioning themselves as that third option for fitness trainers, a go-to for folks who see Reebok’s Nanos as played out and Nike’s Metcons as too entrenched in the world of big-name apparel. And while they produce some other apparel — shirts, hoodies, and even a military surplus-style “duffleback” — the cornerstone of their brand is the trainers. 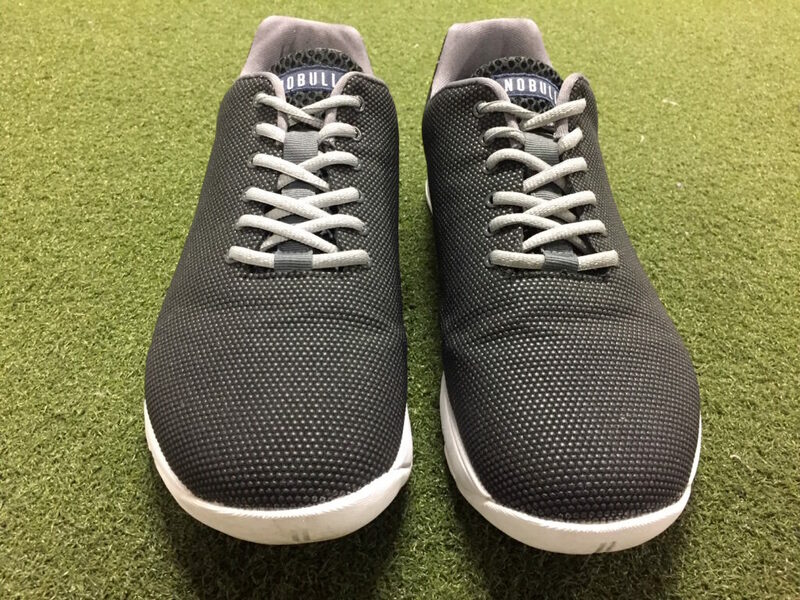 These look like simple shoes, and they really are: The upper is a one-piece construction of SuperFabric®, with a simple looking, one-color sole. NOBULL has released numerous colors and styles of their SuperFabric® trainer, but the construction on each is the same. They’re certainly not for everyone, and if you need your training shoe to reflect your special-as-a-snowflake personality with custom colors and text, these shoes probably aren’t for you. But overall, NOBULL offers enough designs and color combos that most people will find a pair that at least catches their eye. They’re simple, somewhat understated, and can be dressed up a bit to work outside the gym or with casual wear. Still, some stylistic elements belong in the “Con” section, below. That said, once I found a pair of trainers in the right size, the feel was great. Some people have likened them to walking on pillows, and that’s not far off. They don’t scrape on the interior like some training shoes, and I’ve worn them enough outside the gym to say they’re becoming my go-to pair for hiking and just general walking around. These shoes can feel downright comfortable, but it may take a few tries to find the right size for you. NOBULL likes to state that their shoes aren’t for people who think gimmicks will make them better athletes, and I’ll back that up from experience: These shoes didn’t make me a better athlete. However, I’ve only found one thing I don’t like them for in the gym: rope climbs. The exterior sorta-rubber-sorta-plastic coating on the upper makes it difficult to grip a rope with your feet, and the sole didn’t provide me much help with that. With that one caveat, I like these shoes for just about everything you’d encounter in a WOD: Running, box jumps, barbell cycling, bodyweight movements, etc. They’re light and flexible, which makes them especially good on split jerks and anything that requires a flexed foot. I preferred them for squatting over any other non-lifter I’ve tried, and while the heel-to-toe drop isn’t huge, they remain stable throughout the movement for front, back, and overhead squats. 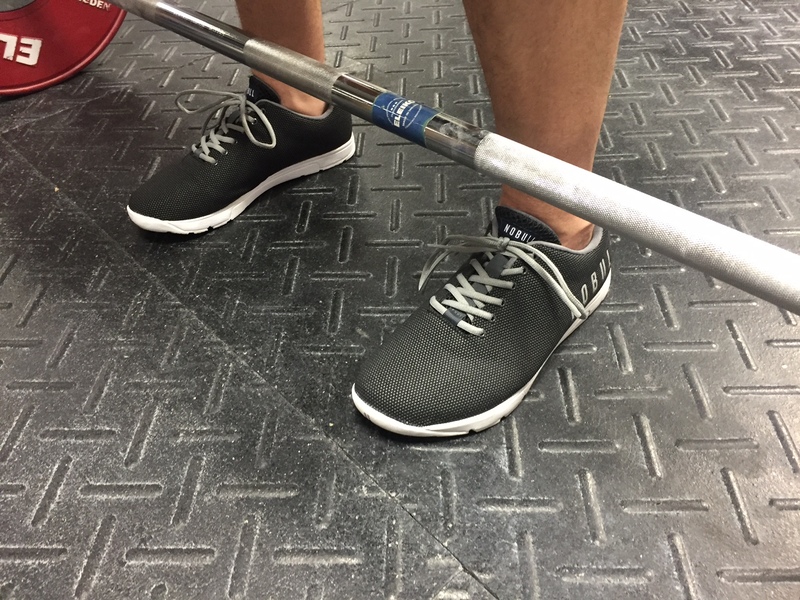 Look, if you’re snatching or cleaning heavy in competition, wear your lifters. But if you’re wearing these for heavy barbell movements, they probably won’t let you down. 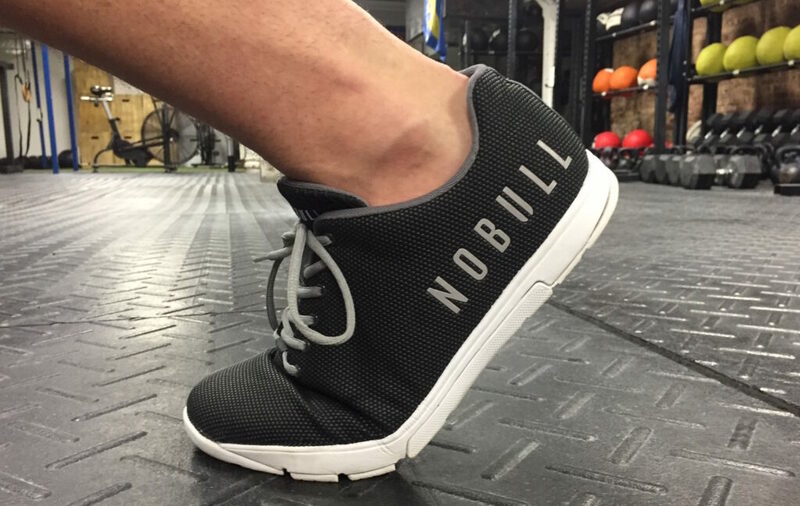 I’ve heard some issues with the NOBULL canvas trainer durability, but their SuperFabric® shoes stand the heck up. After roughly a month of wear, I’ve had no identifiable marks left on the upper, I while expected the back of the sole to wear down a bit, it’s basically stayed intact. The construction seems simple, but it’s tough. I would REALLY like an option to have the “NOBULL” lettering less prominent/reflective on the shoe. Cool Stance or other patterned socks don’t normally look very good on me. In these, they look much, much worse. Wear low-cut or no-show socks with the trainers. A lot of NOBULL trainer designs sell out quickly and/or only ship in limited quantities, and the releases are generally announced on Instagram. But I guess that’s sort of the point, huh? They ain’t cheap. Some of the designer trainers run $159.00, and the basic color combos are normally $129.00. They’re constructed well, but simply, and while I really like the trainers, that still seems like a lot for what you’re getting. But hey, form meets function, right? NOBULL seems to have a pretty solid return policy, so if you can figure out the size that fits for you, my guess is you’ll like these shoes. I found them very useful in the gym and generally more comfortable outside it than other training shoes. They’ve been fantastic for squatting, and besides rope climbs, I haven’t found a movement they weren’t suited for. There’s not a lot of extraneous fabric or add-ons that restrict your movement, and they make your feet feel very aware of and connected to the ground. And while I’m sure they’ll wear out eventually, so far, the NOBULL trainers have been damn near indestructible for me.